Nutanix, a leader in enterprise cloud computing, announced today that its AHV hypervisor and Enterprise Cloud OS platform hyperconverged infrastructure (HCI) solution, has met SAP’s criteria for running production SAP HANA deployments. 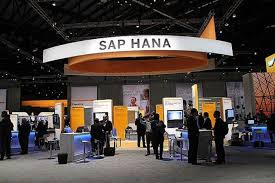 This will allow businesses that use SAP solutions to benefit from the simplicity and agility of leading HCI technology to deliver a modern IT architecture for SAP’s leading in-memory relational database platform. Nutanix Enterprise Cloud OS software is certified today for SAP NetWeaver based landscapes including SAP S/4HANA application servers and can be used for production to scale-up SAP HANA databases.